but a page about dimension shifts done by trees. People talk with trees and hug. and feel the energy go through you. Many trees live much longer then we do. While they are developing and growing, they have all time. Earth energies have a great influence upon trees. Sometimes trees are feeling very unhappy, when the Earth energies are bad. Sometimes a tree grows in an battled way, uneven, backing out. 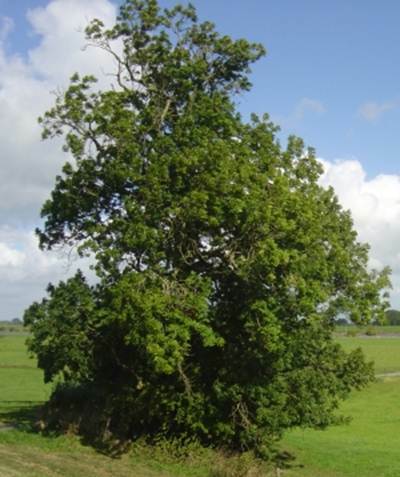 Other trees have an enormous influence on their surroundings. They make their own surroundings. Those trees are influencing the dimensions and time scale. Trees are encouraging all living beings around them to live and expand. life sustaining and life inviting. 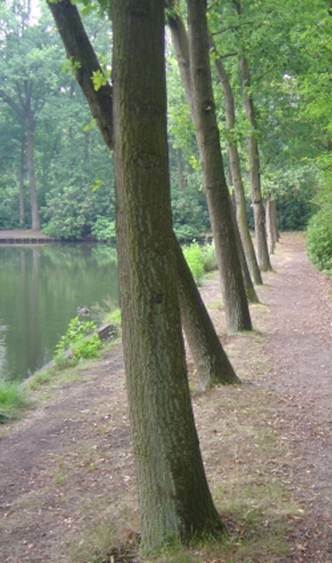 A row of trees at the edge of the forest has power to change. are very powerful, especially at the edge of a forest. Trees have a big influence on the Earth as a living planet. by their forcefield of life energy. 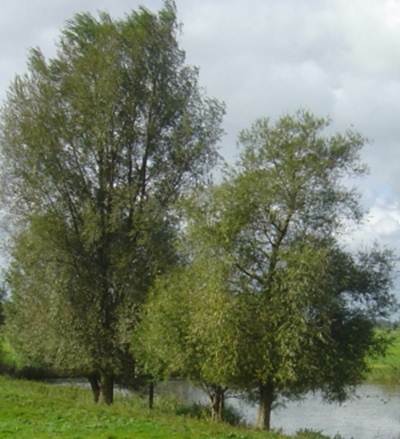 Left: Trees at the river edge are creating their own climate. The big bush in the meadow is a blessing for all life in the area. 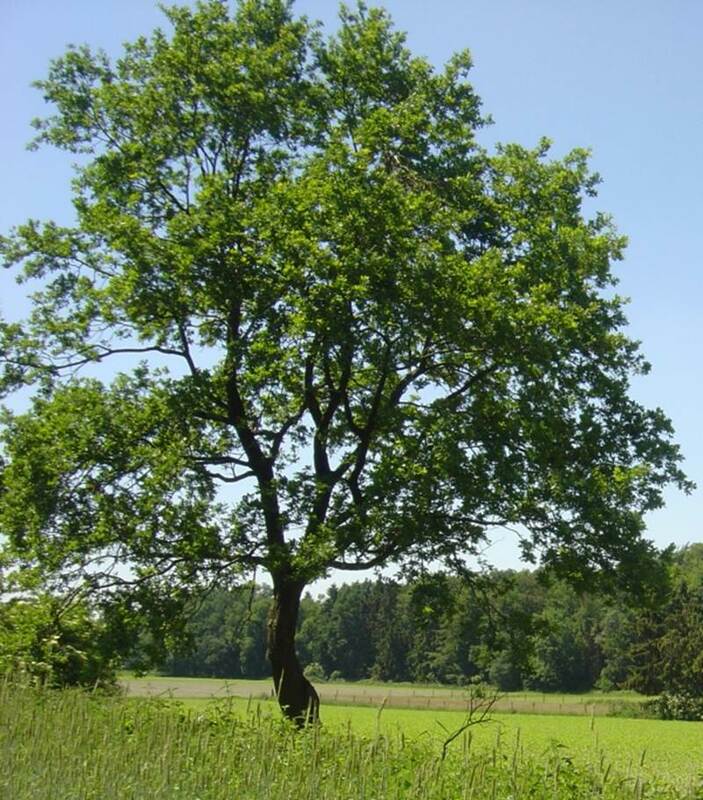 Trees have their powerfield to stimulate life. This picture is taken toward the South. The photographer is standing North, looking South. The shadows are coming from the East. So the Sun is towards the East. So the spot of energy high in the trees is not a ray of sunlight. We checked it several times when we were making the picture. The sunbeams come from the side. The lens of the camera is clean. These trees are emanating an energyfield. have the power to change dimensions. Perhaps you call them faeries? Light bearers? Angels? by the group of trees. and had during many years direct contact with them. has had very positive experiences. 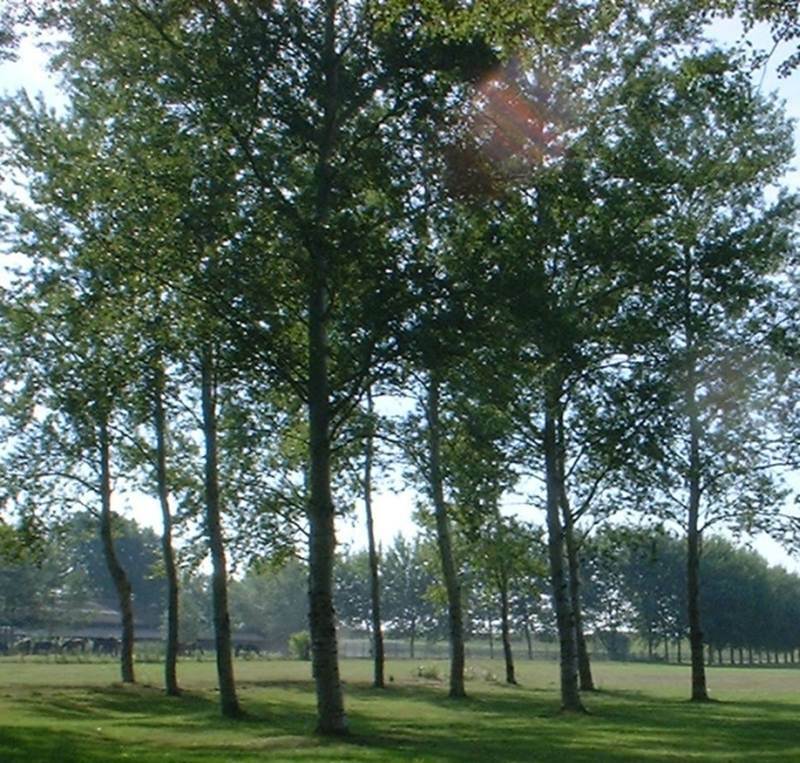 Left: Trees standing at the open field are very powerful. They are using the collective of trees to amplify their powerfields. 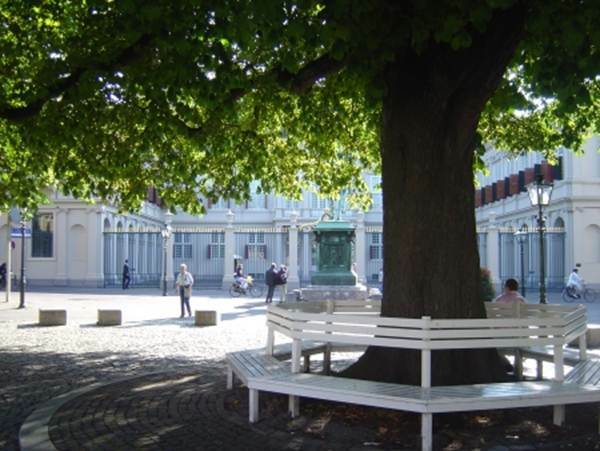 The century old tree in front of the palace is influencing the whole square. 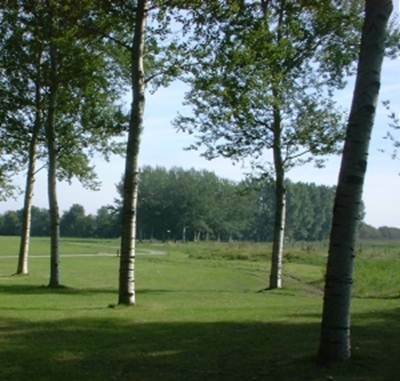 We are sure that you know more examples of these important trees. Trees have taken this ancient road chapel in protection. We measured this place as very holy (Tankenberg page). Perhaps indicating the entrance into the terrain of an ancient Goddess temple. 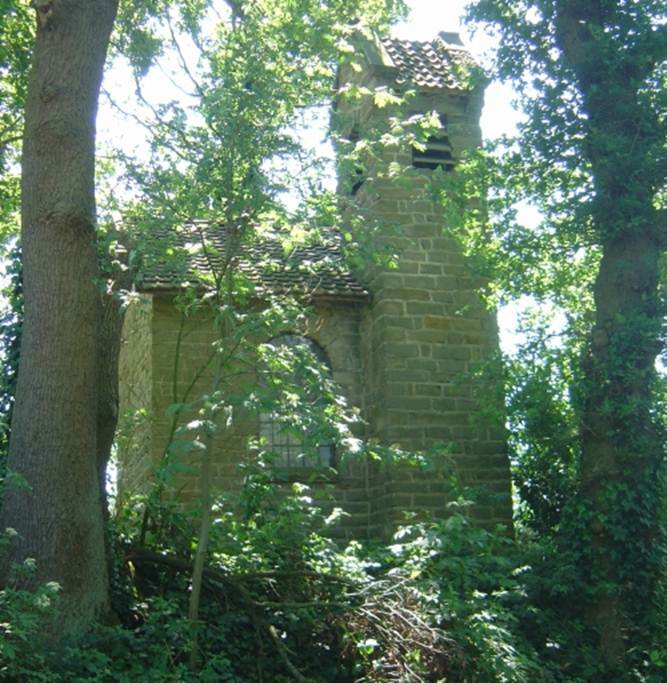 The trees are supporting the chapel and protecting. They know what they are supporting. 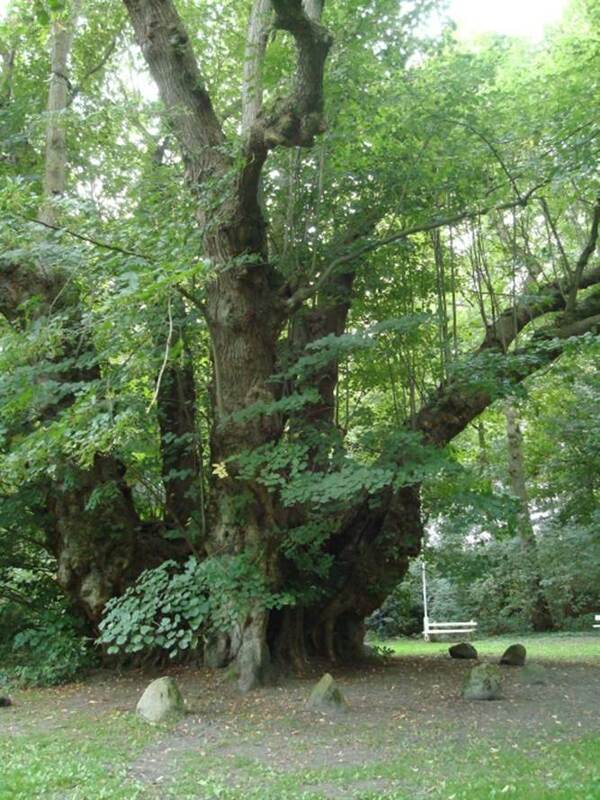 The lime tree at Heede, Germany is officially about 1000 years old. The Ley Line Group visited the tree and asked how old it is. The clear answer of the tree was 1160 years. The energies around this tree are so strong, that ley lines are not measurable. very much during the centuries. The respect of the villagers for the tree is strong. Families walk around the tree to bring respect. Being in contact with the tree is a life bringing experience. During the 14th and 15th century a castle was build around this tree. The castle vanished again and the tree saw it all. 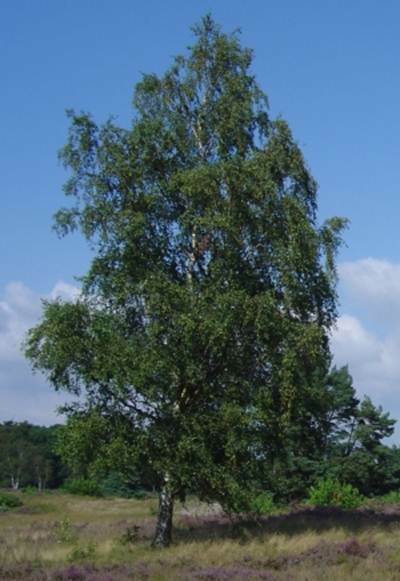 We all know examples of these very influential trees. We should listen to them and try to understand why they are there. The trees need our respect, because they are servants of the Goddess.